Mexico’s new president, Andrés Manuel López Obrador, will be officially sworn in to office on Saturday. The U.S. will reportedly send a 145-person delegation to the big event in Mexico City, one which will include vice president Mike Pence and Ivanka Trump. The ceremony will then take place at the Legislative Palace before “AMLO” (as he’s being referred to) is given the presidential sash by outgoing president Enrique Peña Nieto. AMLO’s first speech will then be followed by a party in Mexico City’s legendary main square, Zócalo, to celebrate the incoming administration. As you might expect, America’s top two Spanish language broadcast networks, Telemundo and Univision, will be delivering special wall-to-wall coverage of this landmark event, beginning on Saturday at 11 a.m. ET. Here’s how the networks are covering the big day. Noticias Telemundo announced details of AMLO: Presidente de México its 360° coverage of the Mexican presidential inauguration, this Saturday, Dec. 1 starting at 11 a.m. ET /10 a.m. CT.
Noticias Telemundo anchor José Díaz-Balart will lead the special coverage from Mexico City’s Zócalo he will be joined by veteran TV newser Maria Elena Salinas, with analysts Valeria Moy and Carlos Bravo, presenters Julio Vaqueiro, Felicidad Aveleyra and Paulina Sodi, and more than 10 correspondents. Airing live on Noticias Telemundo’s digital platforms on YouTube, Twitter, Facebook and Instagram, and featuring original digital content, AMLO: Presidente de México will be the most extensive coverage of a Mexican presidential inauguration ever seen on US Spanish-language television. At 11 a.m. ET/10 a.m. CT Noticias Telemundo’s special coverage will begin. The formal inauguration ceremony will be held before the Mexican Congress in the Legislative Palace at Noon ET/ 11 a.m. ET. The President of the House, Porfirio Muñoz Ledo, will retrieve the presidential sash from Enrique Peña Nieto and present it to Andrés Manuel López Obrador, who will deliver his first speech as President of the Republic. At 5 p.m ET/4 p.m. CT, a festival will kick off in Mexico City’s Zócalo, where the new president will again address the Mexican people. Univision News will bring Hispanic America minute-by- minute LIVE coverage of Mexican president-elect Andrés Manuel Lopez Obrador’s inauguration this weekend via all its broadcast, digital and social platforms. Titled AMLO: La Gran Incógnita (AMLO: The Big Mystery) the coverage will kick off on Saturday, December 1st at 11 a.m. ET/10 a.m. Central/8 a.m. PT on Univision Network, with live streaming on UnivisionNoticias.com, Facebook, YouTube, and Twitter. In-depth digital reporting related to López Obrador and his upcoming inaugural ceremonies is already available on UnivisionNoticias.com. Leading up to the inauguration, Jorge Ramos will anchor the evening edition of Noticiero Univision (6:30 p.m. ET) from Mexico City tomorrow, November 30, with Ilia Calderón co-hosting in Miami. Then on Saturday, he will also co-anchor the evening edition of Noticiero Univision Fin de Semana (Noticiero Univision Weekend Edition) at 6:30 p.m. ET (with Arantxa Loizaga in Miami). Beginning at 11:00 a.m. ET/10:00 a.m. Central/8:00 a.m. PT on Inauguration Day, Jorge Ramos and María Antonieta Collins will lead Univision’s LIVE coverage of the complete inaugural ceremony from the heart of Mexico City, joined by a team of expert political reporters and analysts. The special broadcast will air coast to coast on Univision Network and stream live on UnivisionNoticias.com, Facebook, YouTube, and Twitter. Felix de Bedout will anchor Noticiero Univision Fin de Semana (Noticiero Univision Weekend Edition) from Mexico City on Saturday (11:30 p.m. ET) and Sunday (6:30 p.m. ET and 11:30 p.m. ET), with Arantxa Loizaga co-hosting in Miami. Livestream of President Lopez Obrador’s inaugural speech at 6 p.m. ET/3 p.m. PT on UnivisionNoticias.com, Facebook, and Twitter. A liveblog providing up-to-the-minute reporting and commentary on all inaugural events. 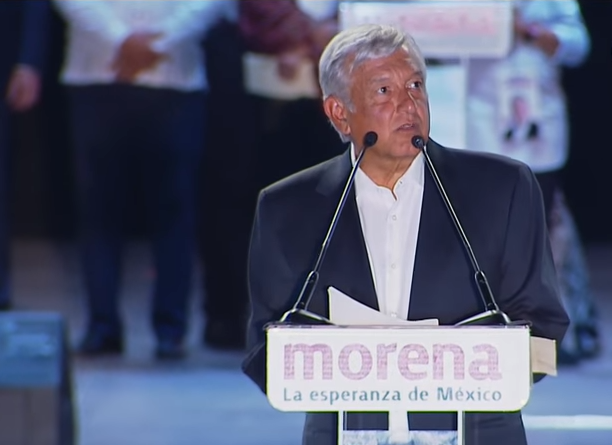 In-depth multimedia content about Andres Manuel López Obrador, including background, policy proposals, recent speeches and interviews, and analysis of his new administration’s potential impact on Mexico, the U.S. and Latin America. 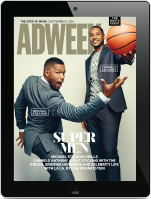 Photo galleries, slideshows, videos, and cutting-edge infographics. Continuous information and interaction on social media via @UniNoticias, @UniPolitica, Facebook.com/univisionnoticias and Facebook.com/UnivisionPolítica. Facebook Live events and Facebook 360 video of the swearing-in ceremony.